A “Deadwood” movie is moving ahead at HBO, so hitch up your wagons and get ready to head back to the Dakota Territory. HBO programming president Michael Lombardo revealed the news at a Television Critics Association event on Thursday. According to Lombardo, series creator David Milch is already working on the script. According to Lombardo, Milch is currently working on another project. “But the understanding is that when he is done with that he will turn his attention to the script for the Deadwood film,” he said. 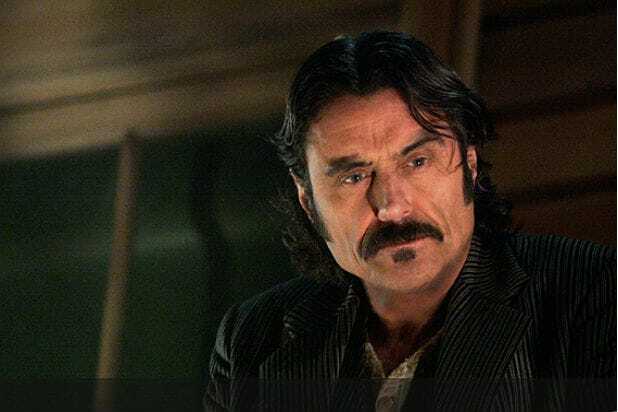 “Deadwood” aired on HBO for three seasons from 2004-2006. The series starred Ian McShane, Timothy Olyphant, Molly Parker and many others. The show focused on the colorful characters that inhabited the unincorporated frontier town of Deadwood, South Dakota, in the 1870s. Despite only airing for three seasons, the show received widespread critical acclaim, winning eight Emmys and a Golden Globe during its run. McShane in particular stood out for his portrayal of saloon owner Al Swearingen, who became famous for his cunning political maneuvering and excellent use of profanity.